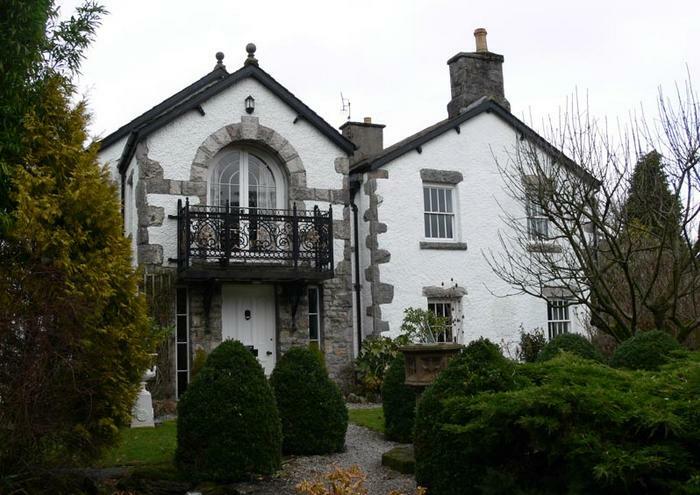 This house was originally the smithy for the village of Ackenthwaite. It is located in a prominent position on a corner site and the building extends right up to the back edge of the pavement on two sides. In altering and extending the property, the idea was to re-orientate it away from the roads and to develop the elevation that overlooks the secluded garden at the rear. A new central projecting bay was formed to create a focal point for the garden elevation. The front door is located in the new bay below a projecting balcony with an ornate wrought iron balustrade which is constructed from panels reclaimed from the old Morecambe Pier. The external details generally match the existing house, with natural slate roofs, white rendered walls with limestone dressings and painted timber sash windows. Internally the finishes include ionic columns and oak panelling reclaimed by the client.